Everyone has heard of a bucket list, but making a “reverse bucket list” may be the gift of gratitude you need to give yourself this holiday season. While a traditional bucket list creates an attitude of ambition through goal-setting, a reverse bucket list takes stock of the things in life you’ve already accomplished. 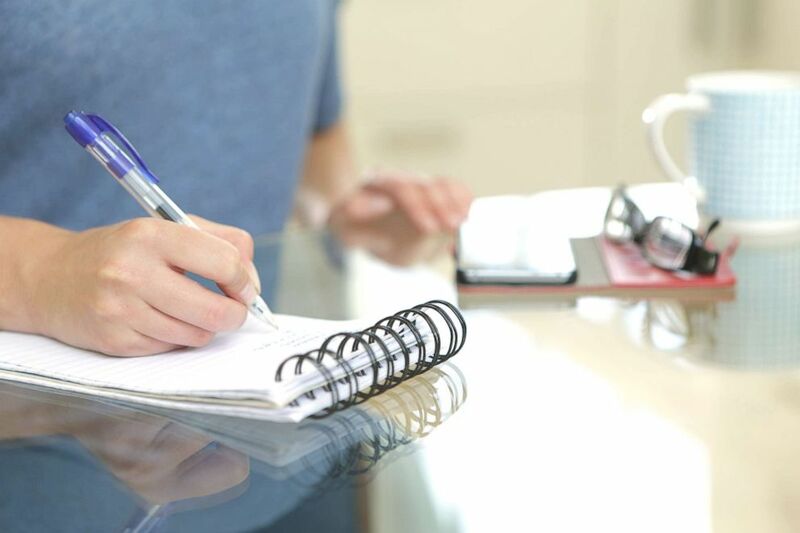 (STOCK PHOTO/Getty Images) A woman writes in a notebook in this undated stock photo. 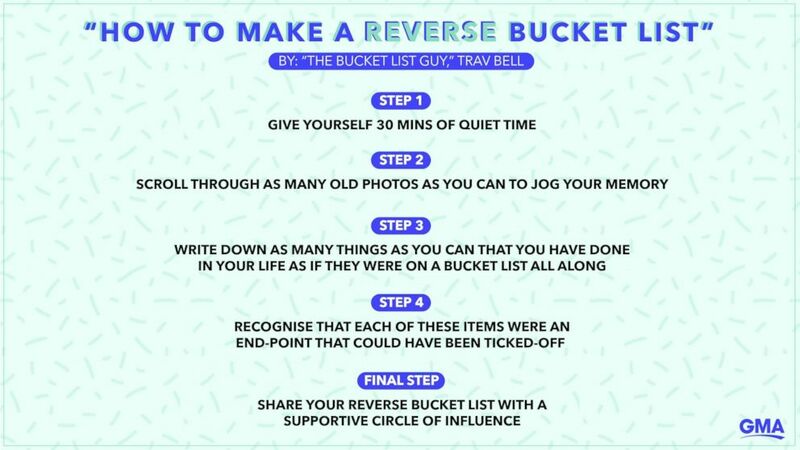 Life coach Trav Bell, nicknamed the “The Bucket List Guy,” created his own coaching program to help others lead a fulfilling and purposeful life. A reverse bucket list should inspire you and those around you to do more based on how you’ve lived life already, he explained. Let's get this party started @ #tedxmelbourne super pumped to #tickitoff the #bucketlist today. "We live in a world of chasing the next goal," Bell told "GMA." "Reflecting, being grateful, is a muscle that we don't flex often." Center yourself and set aside time where you can be disconnected from the outside world. Jog your memory and remember how you felt in those moments when those photos were taken. 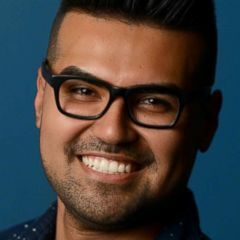 Bell repeated that the Reverse Bucket List “is a done list.” Take a moment to reflect on that “done list” and let photos lead you to remember other moments of victory in your life that are most personal for you. “Treat the things you’ve done in your life as if they were on a Bucket List all along,” Bell said. It’s not always about the places you visit. It’s about the people you met, and maybe even the job you didn't get that makes you grateful. Take everything into account: people, places, things. Don't add items to your Reverse Bucket List that you started and haven't finished. While you want to share your life’s accomplishments, it’s important to do so in a way that inspires and gives thanks rather than a “pat-on-the-back” list. Share it first with people who best understand you, your goals and your ambitions. The Reverse Bucket List is the perfect gift of gratitude to yourself and others in your own circle of influence. How often should you update this Reverse Bucket List of yours?